Here’s a collection of The BEST Low-Carb Instant Pot Dinners with Chicken that would be perfect for a hungry family where the adults are watching their carbs! Chicken is a staple and can be made into so many delicious dishes. Click here to PIN The BEST Low-Carb Instant Pot Dinners with Chicken! Click here to see 50 Amazing Low-Carb Instant Pot Dinner Recipes! We’ve been working on a series of low-carb Instant Pot dinner ideas for the new year, and so far we’ve given you Low-Carb Instant Pot Dinners with Pork, Low-Carb Instant Pot Soup Recipes, Low-Carb Instant Pot Dinners with Ground Beef and 50 Amazing Low-Carb Instant Pot Dinner Recipes. But isn’t chicken the thing that families probably have for dinner more than anything else? So today we’re excited to share this new collection of The BEST Low-Carb Instant Pot Dinners with Chicken! There are chicken dinners here of every kind, with lots of chicken dinners with interesting international flavors. There may be a few where you’ll want to use cauliflower rice to replace the rice or eat the meal with low-carb tortillas (or lettuce wraps for Keto) but making those simple changes will give you a tasty low-carb chicken dinner! All photos are copyrighted to the site that posted the recipe; just click the recipe title under any photo to see the complete recipe on the original blog. And enjoy your low-carb chicken dinners! 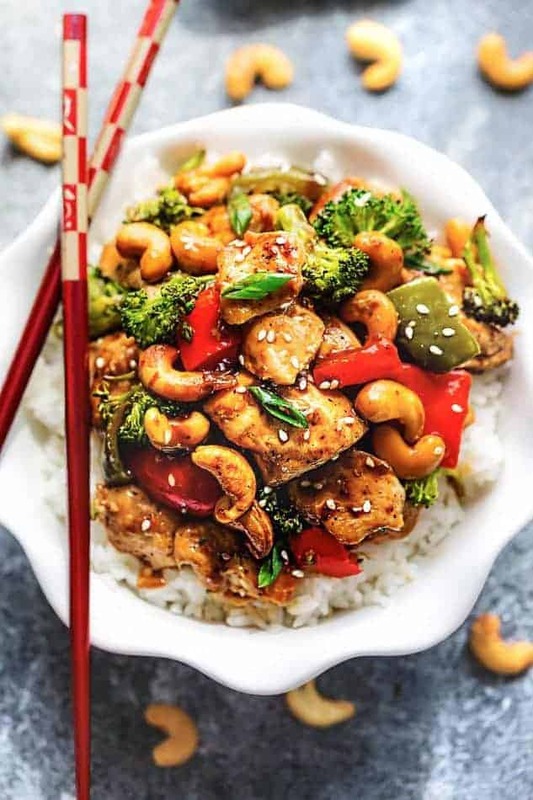 This Instant Pot Cashew Chicken from Life Made Sweeter is made with a homemade sauce with instructions to make this low-carb. You’ll love that this is tastier and healthier than take-out! Instant Pot Salsa Chicken with Lime and Melted Mozzarella from Kalyn’s Kitchen is a super popular slow cooker recipe that now has instructions for the Instant Pot. What could be better that tasty chicken with salsa and cheese! This Keto Low-Carb Gluten-Free Chicken and Dumplings-Pressure Cooker Recipe from Wholesome Yum is so easy and very delicious. This recipe is made with Maya’s Fathead Dough recipe, chicken broth, and yummy spices, so great for a hearty meal! 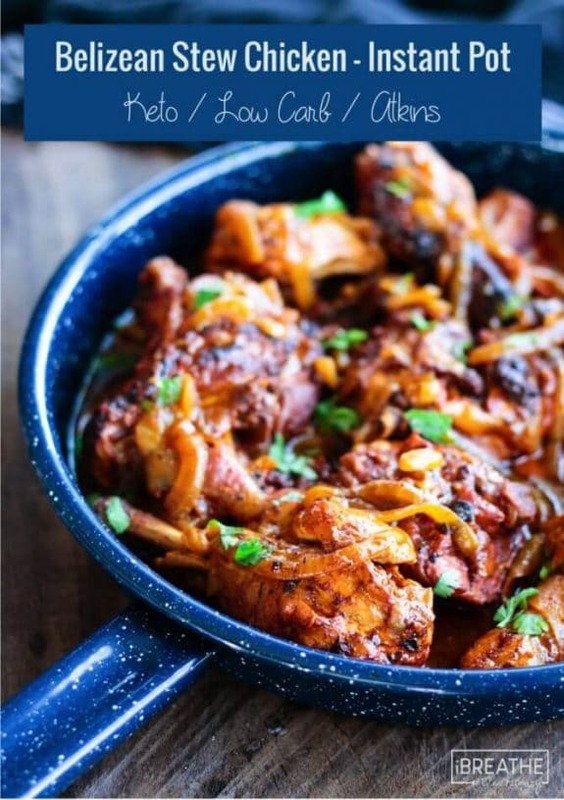 Try a taste of Belize tonight with this Belizean Stew Chicken-Instant Pot from I Breathe I’m Hungry. This staple of Belizean cuisine is infused with unique flavors and cooked quickly in the Instant Pot, the result is juicy, tender chicken. 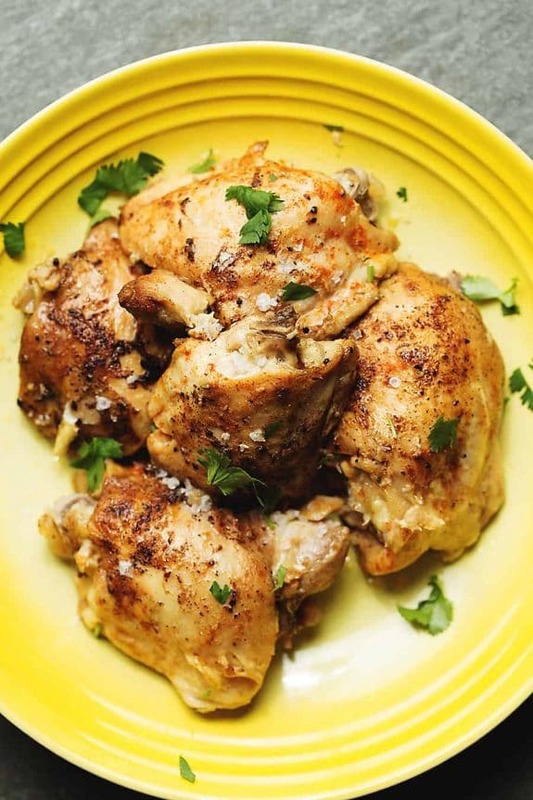 Instant Pot Greek Chicken from Noshtastic tastes best if you can marinate the chicken for at least 4 hours before it goes into the Instant Pot, so plan ahead for this one! Made with cauliflower rice, this Instant Pot Low-Carb Green Chile Chicken Burrito Bowl from Kalyn’s Kitchen is perfect to keep the carbs in check and fill your craving for a burrito bowl! For the green chile fans this is a winner that all will love. The avocado salsa tops off this delicious dish perfectly! For a quick dinner tonight, Instant Pot Chicken Fajitas from Crunchy Creamy Sweet will be a hit with everyone! This recipe couldn’t be easier, just put all ingredients in the pot, close the lid and push a button! Be sure to use low-carb tortillas for a low-carb meal. Instant Pot Whole Chicken with Gravy from Sugar Free Mom was a hit with Brenda’s family. 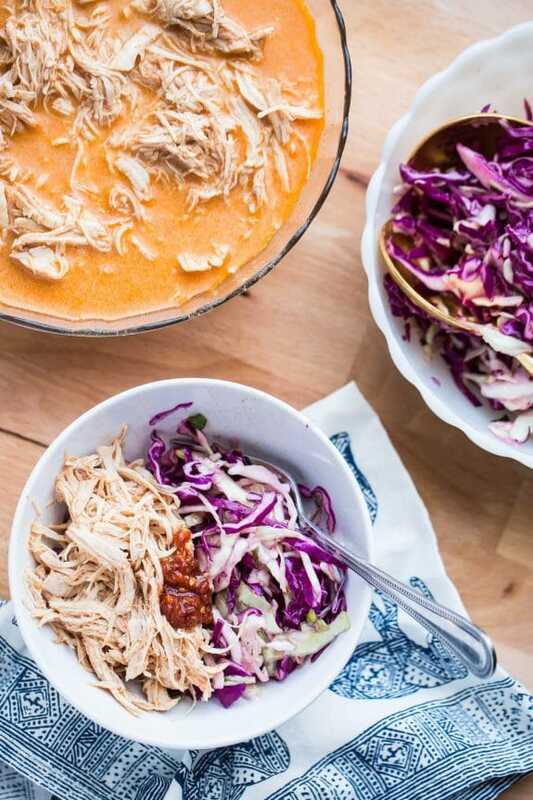 Shredded Red Curry Chicken with Slaw (Instant Pot or Slow Cooker) from Perry’s Plate is a taste of Thai made at home. It’s done in 30 minutes, and looks so yummy! These Instant Pot Low-Carb Greek Chicken Tacos from Kalyn’s Kitchen are amazing and great for a weeknight dinner. The Greek flavors give a new twist when served as a taco, trust me your whole family will love this dish! And if you prefer, use low-carb tortillas for the low-carb eaters and corn or flour tortillas for the kids. Tender and Juicy Instant Pot Chicken Breasts from Diethood sound delicious just as they are, and Katerina says this an be made with fresh or frozen chicken breasts! This Instant Pot Chicken Adobo from Savory Tooth is a delicious Filipino dish made with garlic and onions. Chicken Adobo is a Filipino comfort food made with chicken thighs, onion, soy sauce, garlic, seasonings, and vinegar. This recipe is so easily made in the Instant Pot! 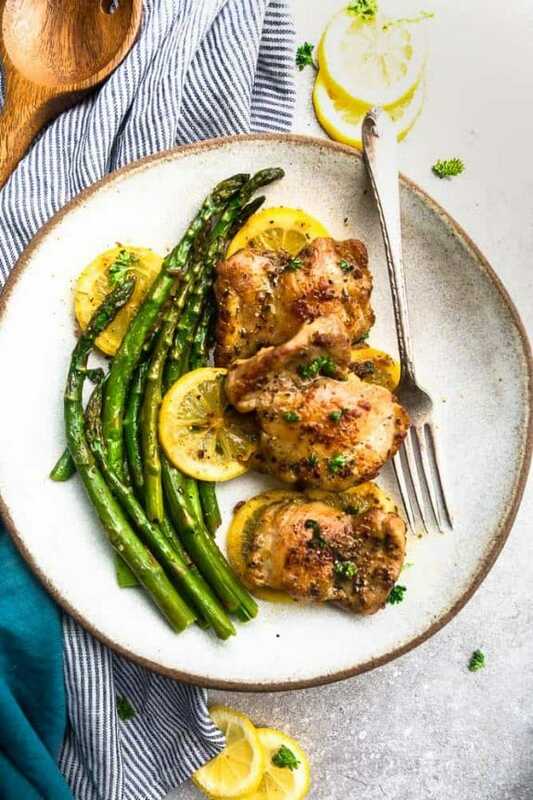 Instant Pot Chicken Thighs from Low-Carb with Jennifer is a simple dish that uses seasonings you probably have on hand! These Instant Pot Low-Carb Cauliflower Rice Greek Chicken Bowls from Kalyn’s Kitchen are loaded with Greek flavors; use less tomato in the Greek salsa if you want even less carbs! 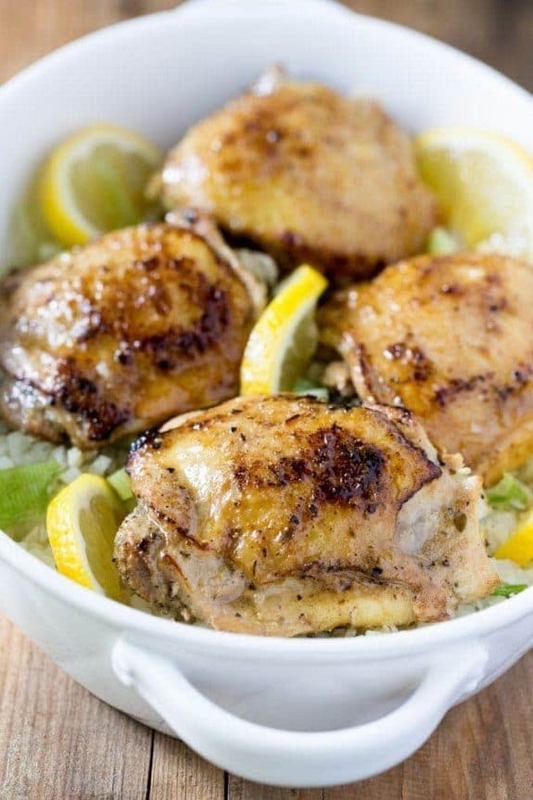 Instant Pot Lemon Chicken with Garlic from Life Made Sweeter looks amazing and sounds easy! And this cooks super quickly! 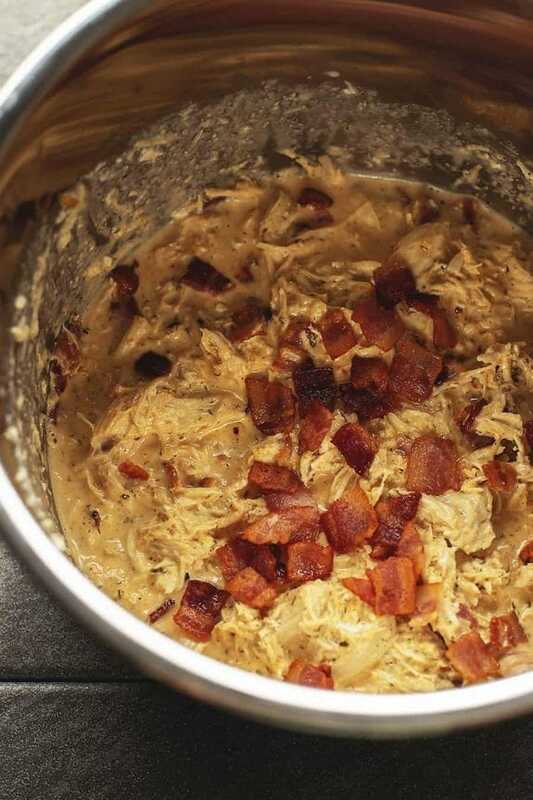 Crack Chicken-Instant Pot or Slow Cooker from Low-Carb with Jennifer is made with her blend of spices, not the ranch dressing mix, and for me that is a win! This simply delicious Crack Chicken is so easy to make whether you choose the Instant Pot or the slow cooker. Doesn’t this look delicious for dinner tonight! I can’t wait to try your Greek Chicken Tacos! They look fantastic! Thank you for including my fajitas in your roundup, Kalyn! Anna, my pleasure! Not sure why I just saw this comment.